Hairporium offer a mail order service for all our retail products – please contact us to discuss your requirements. Hairporium is a premiere appointed salon for Wella and use the Wella lifetex range both in the salon and for retail to our clients. Hairporium is an appointed salon for Collin of Paris – all of Collin Resultime care treatments are created in the spirit of advanced cosmetics with one single aim: beauty & “proven beauty” Clinically tested & proven treatments with highly satisfactory result levels make Collin Resultime the leader as far as face care treatments in beauty parlours. 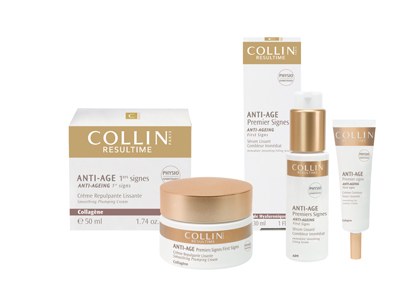 Come and visit our Beauty Salon where we use the Collin Resultime products that produce amazing results. Our highly experienced and personable Beauty Therapist will be more than happy to offer you advice on the best treatments for you.